Happy Monday! Today’s post is somewhat of a personal one. Over the past few months, I have had the pleasure of working with a client who has also become a friend. He was introduced to me in need of a revamp of his apartment. It took some convincing to get him to part with his beloved brown leather reclining sofas, but once he did, I think the end product turned out great! We wanted a clean, sophisticated and masculine feel with an emphasis on usability and comfort. 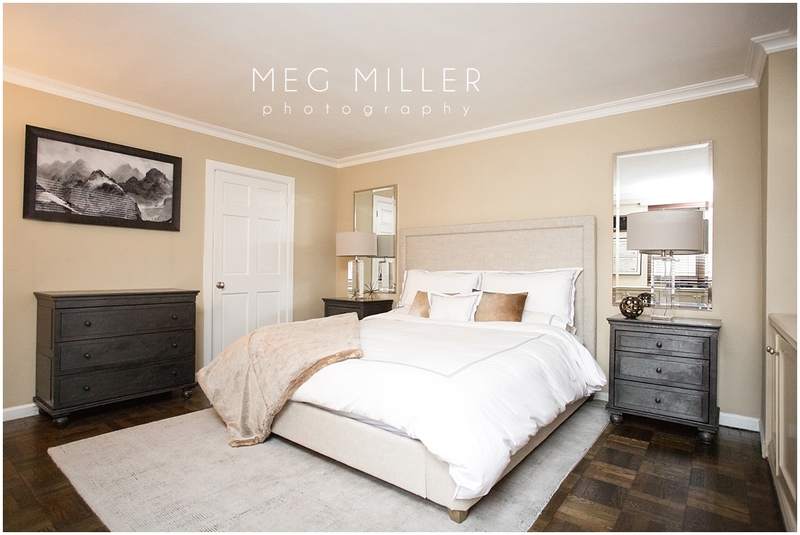 Take a look at some of the photos that were shot last week by the awesome Meg Miller of Meg Miller Photography! 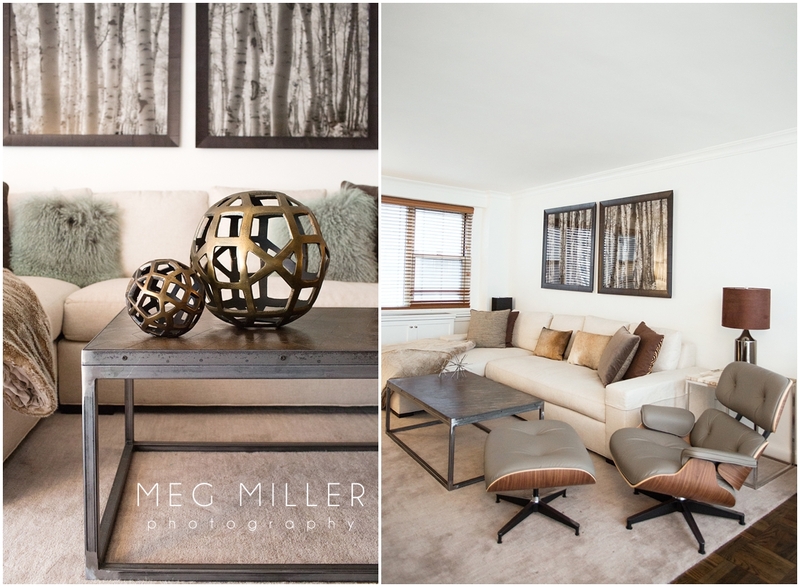 The custom etched and burnished metal coffee table is one of my favorite pieces in this project! 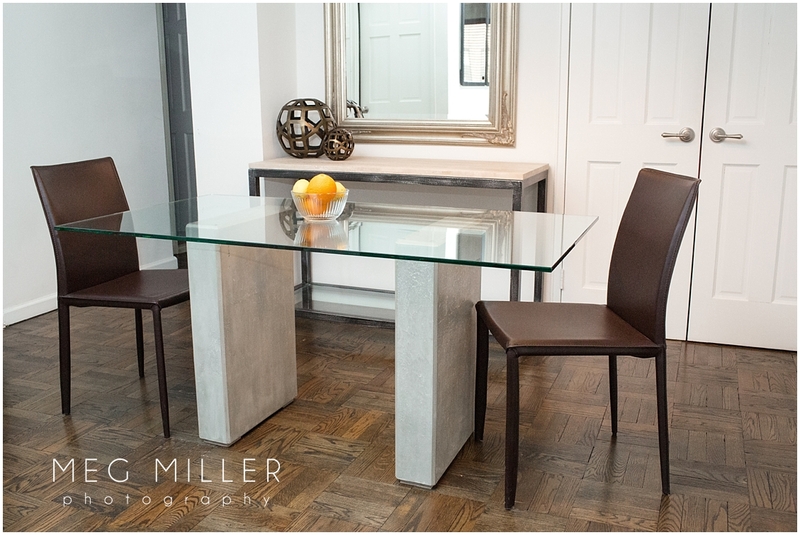 Custom cast concrete and glass dining table by 910 Castings. 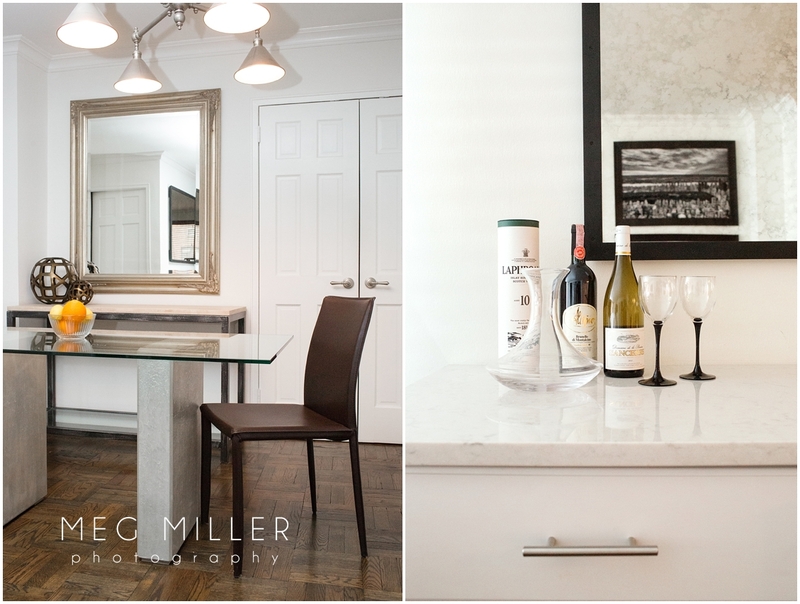 The custom wine bar with an antiqued mirror will be perfect when my client entertains friends. I am very excited to be asked to design the model apartment in a new high rise building in Brooklyn. The building is an urban chic oasis and the design concept that I am contemplating is “industrial chic.” Here is a preview of the design concept for the living area of the apartment. 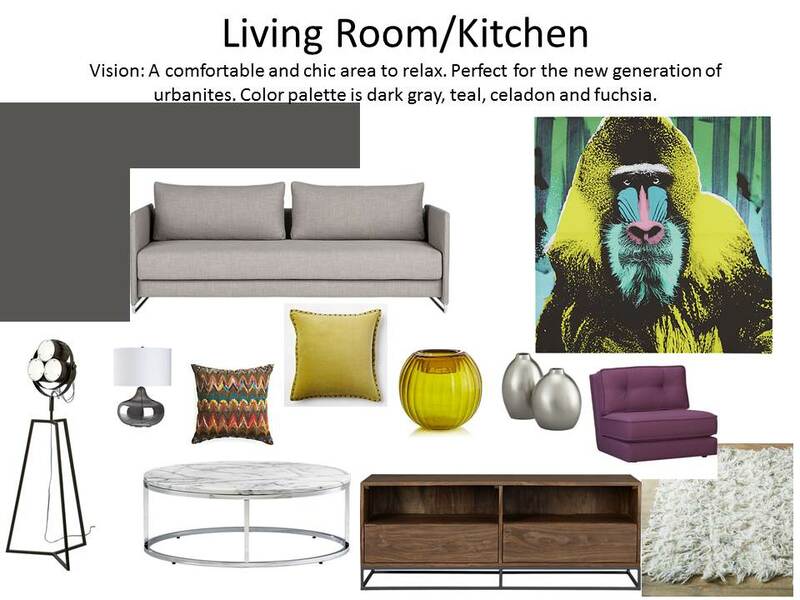 I am not set on the gorilla art, but I do like the gray with pops of bright color. What do you think? As I am moving into a new apartment this weekend, I am excited to completely re-decorate a new space all of my own! 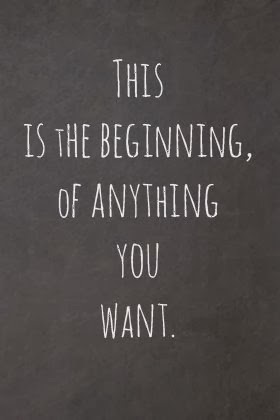 The first place that I am going to begin is my bedroom. My style is a clean, yet lush style that truly encompasses the concept of transitional. I like geometric pieces juxtaposed with soft textures. 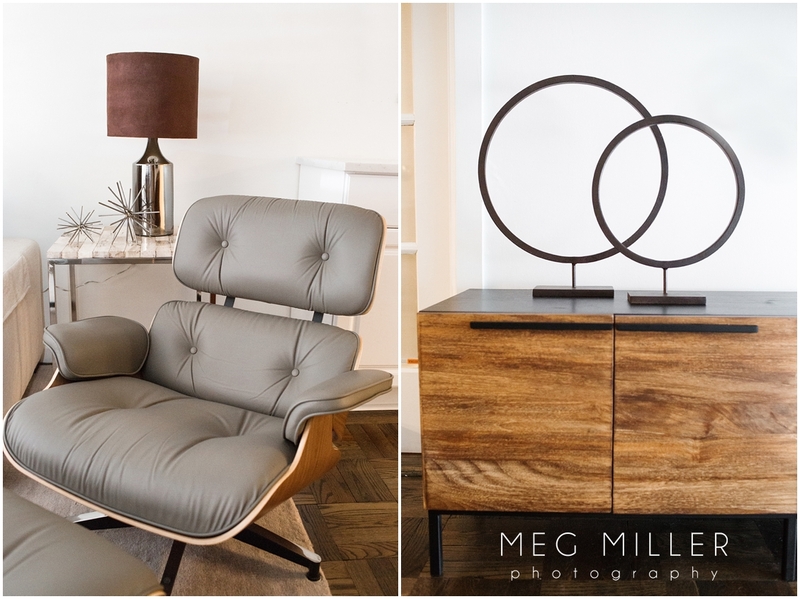 Here are a few inspiration photos on my lust list that are helping to bring life into my vision! 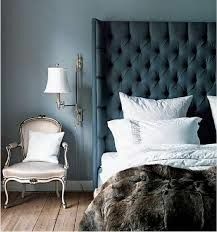 Can you tell that I love upholstered headboards?! 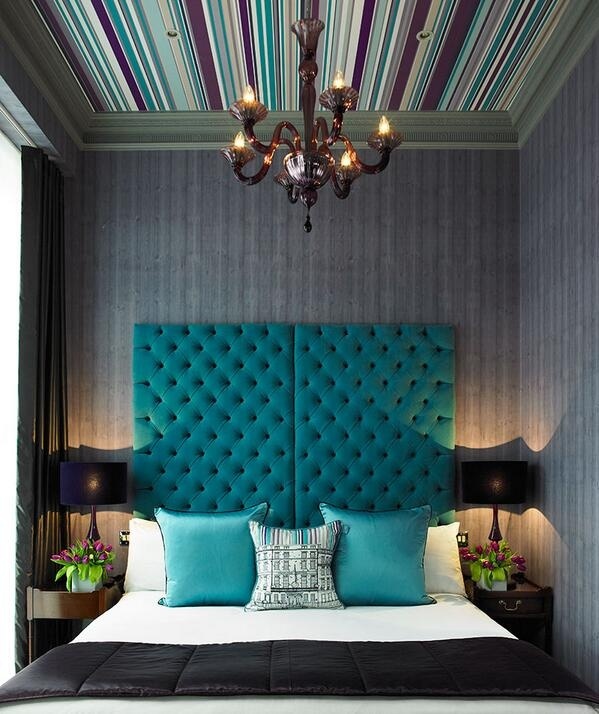 Although I will probably not incorporate this much color into my bedroom, I do love the turquoise color and the idea of striped wallpaper on the ceiling. The off white walls paired with the geometric rug and faux fur accents are what caught my eye here. 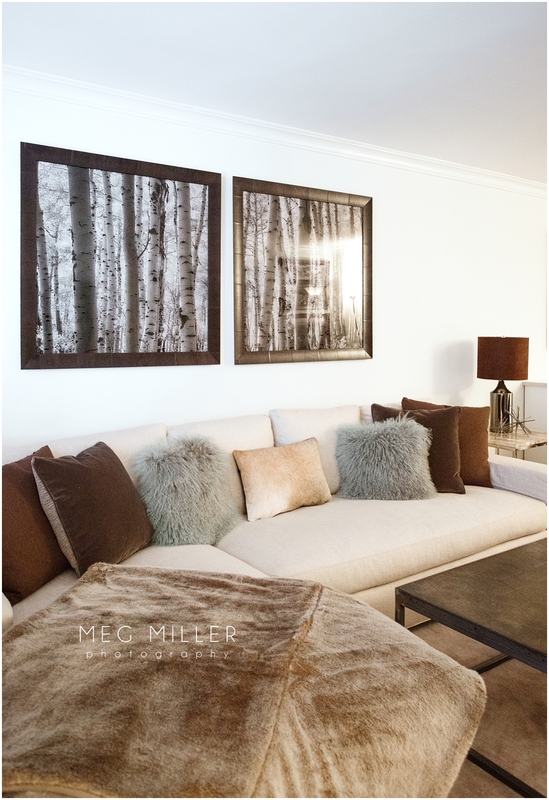 Gorgeous monochromatic colors that are soft and inviting. 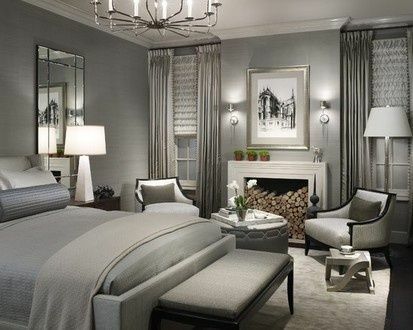 Gray is one of my favorite colors and this picture encapsulates a beautiful example of the use of monochromatic gray. The plush faux fur accents are contrasted by the mirrored greek key console table. The use of pattern in this design is amazing.